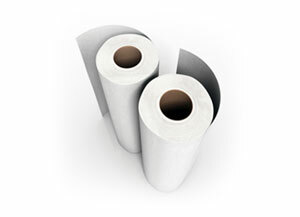 These papers are compatible with most latex based inkjet printers. A matte water-resistant canvas composed of 35% cotton with a 65% polyester blend. A matte, water-resistant canvas composed of 35% cotton with a 65% polyester blend. A gloss, water-resistant canvas composed of 35% cotton with a 65% polyester blend. A satin, water-resistant canvas composed of 35% cotton with a 65% polyester blend.